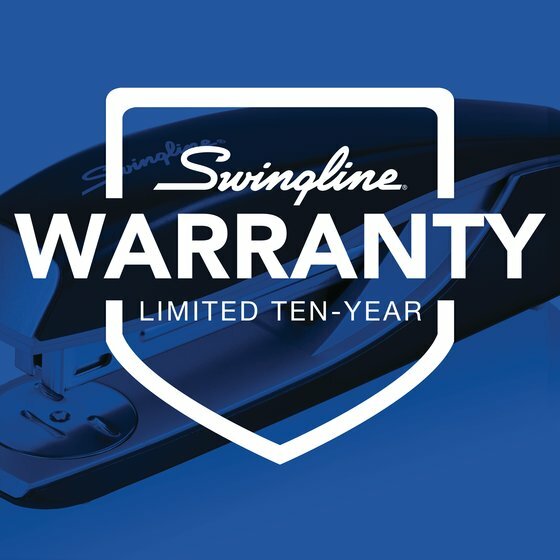 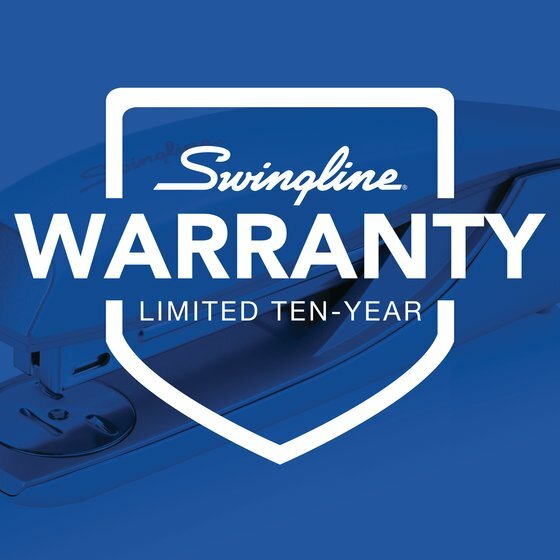 Take the hassle out of everyday stapling with the accurate and dependable Swingline® NeXXt Series Style Stapler. 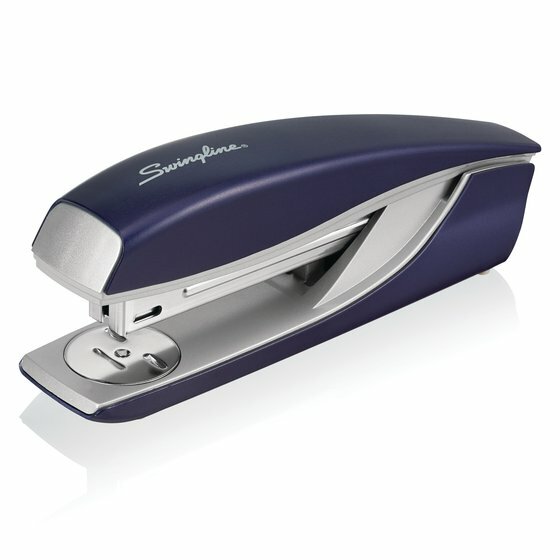 Available in sleek, rich colors that have a brushed metal finish. Durable metal construction for long-lasting performance. 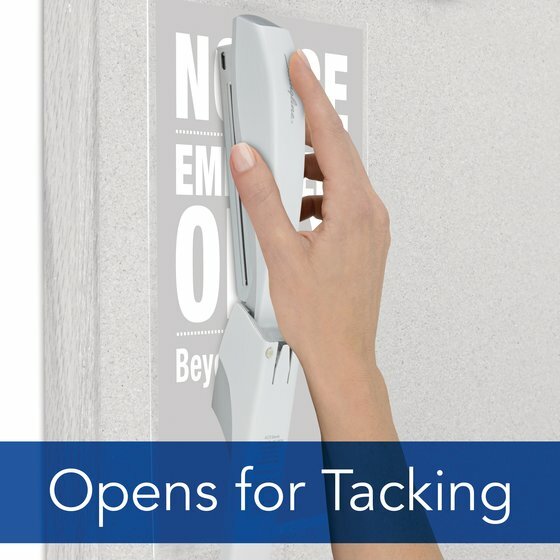 Direct Impact Technology guarantees jam-free operation. 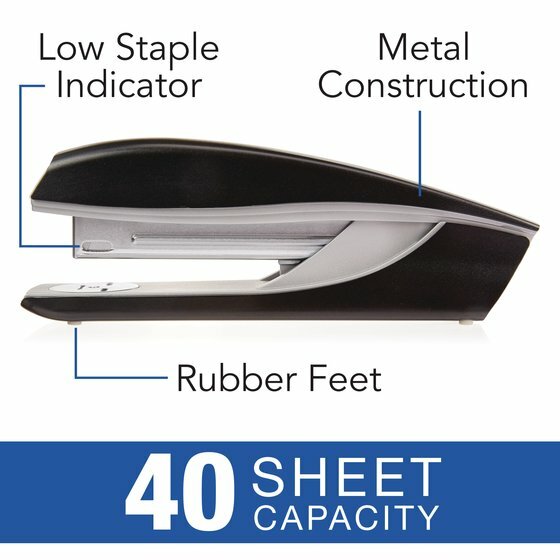 Staples up to 40 sheets at a time. 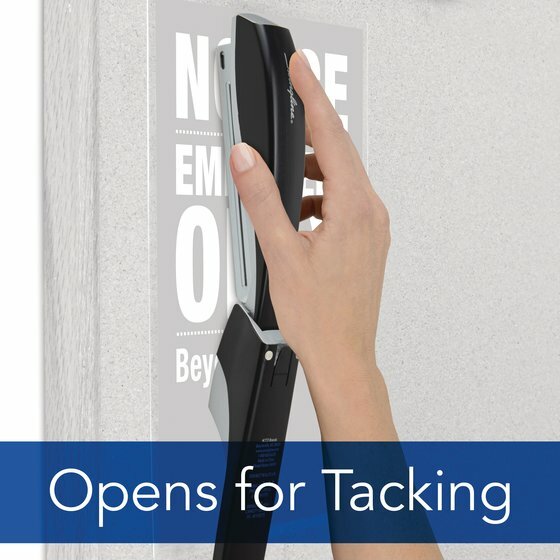 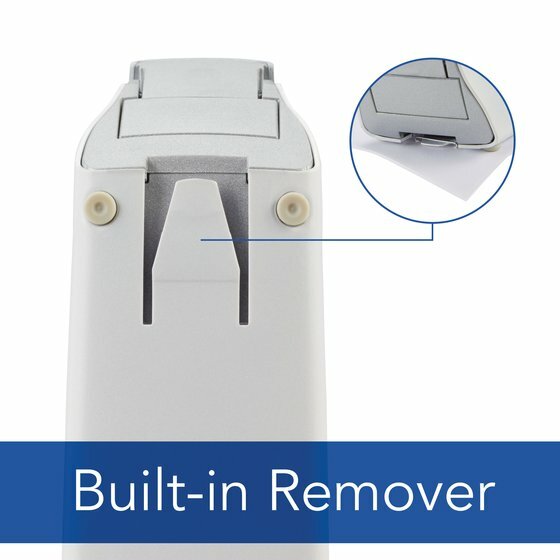 Top cap opens and securely latches at 180° to remain open for easy staple reload. Stapler opens for tacking on soft surfaces. Designed to work at least 20,000 times for reliable, long-term use. 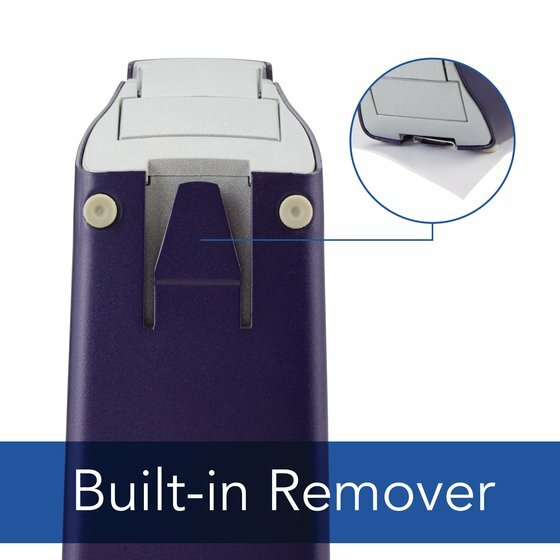 Integrated staple remover for added convenience. 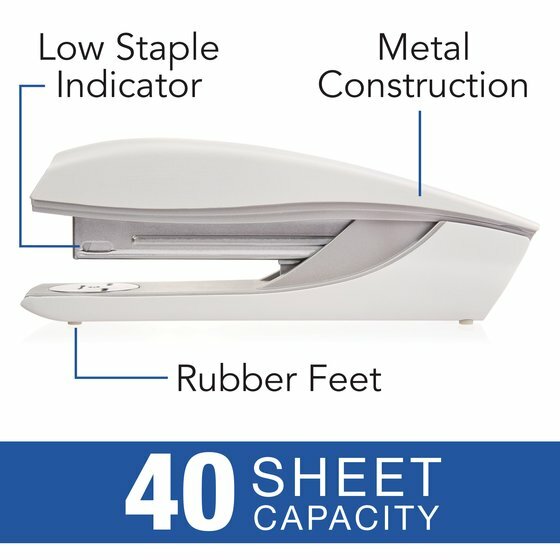 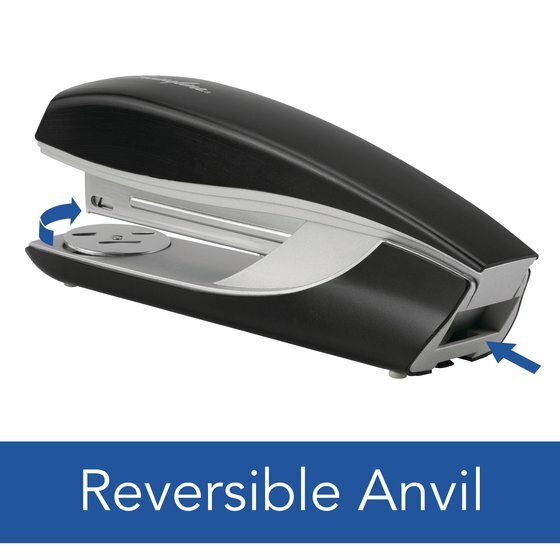 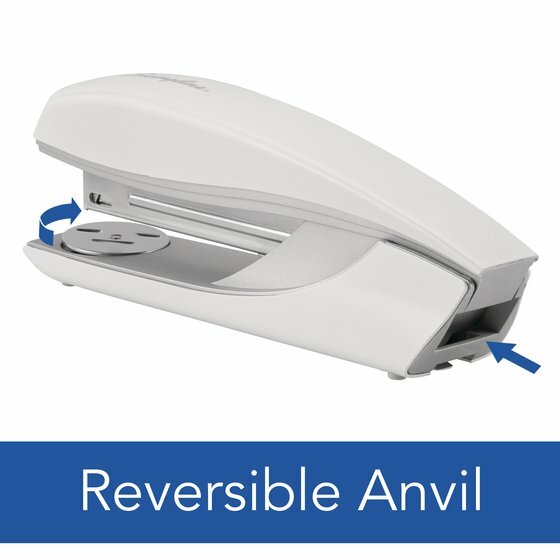 Stapler includes a starter pack of staples and is available in three colors.